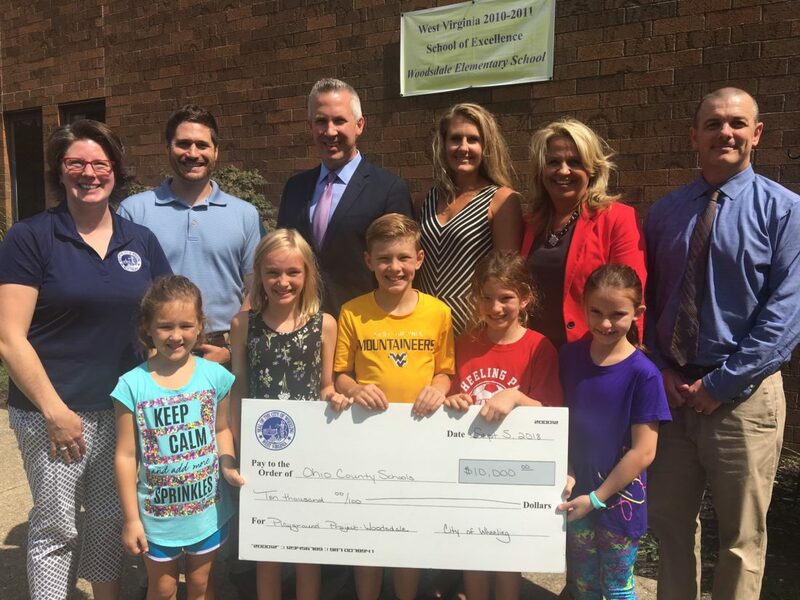 Photo Provided Wheeling officials recently presented Woodsdale Elementary School with a $10,000 check for its playground improvement project. Pictured, from left, are, front, students Maggie Young, Audrey Kenamond, Brennan Wack, Caroline Wack and Flannery Muscar; back, Wheeling City Councilwoman Wendy Scatterday, Director of Parks and Strategic Planning Jesse Mestrovic, Mayor Glenn Elliott, Woodsdale Principal Ashlea Minch, Ohio County Schools Superintendent Kim Miller and Assistant Superintendent Rick Jones. A contribution from the city of Wheeling will benefit a widely-recognized Woodsdale Elementary School project. 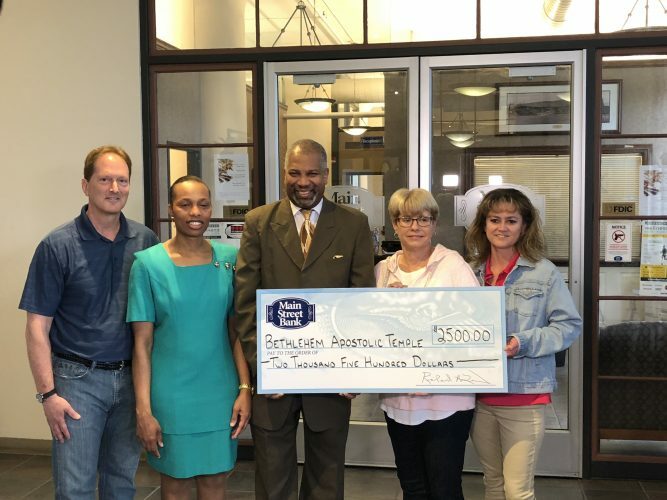 Mayor Glenn Elliott, Councilwoman Wendy Scatterday and other city officials on Wednesday presented Woodsdale Elementary School Principal Ashlea Minch with a check for $10,000 to benefit the school’s playground project. 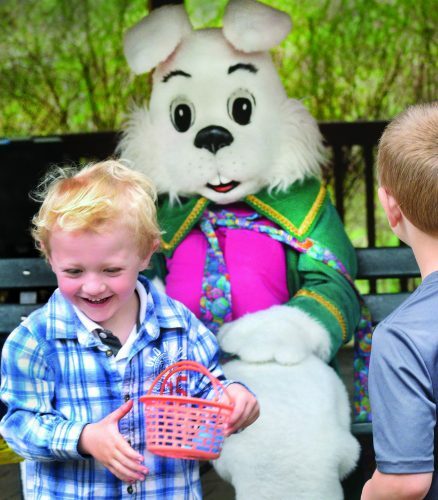 So far, more than $225,000 has been raised for the playground through grants, trusts, fundraising events and donations. Scatterday represents council’s 4th Ward, and she is the chairwoman of council’s health and recreation committee. She said the Woodsdale playground project is an exciting initiative. Wheeling Director of Parks and Strategic Planning Jesse Mestrovic said the project will benefit more than just the Woodsdale students. “This new playground will be a wonderful addition to Woodsdale Elementary School, but it will also be a new play space for city of Wheeling residents to enjoy,” he said. Minch said she is proud of everyone who has worked on the playground project. She noted that she is grateful to the City of Wheeling for its donation. The Woodsdale PTO Playground Committee is still working to raise $20,000 for an outdoor learning space and $15,000 for the purchase a shade structure. The organization will hold a steak fry fundraiser sometime in October.